There are many communities all over the world that rely on groundwater as their sole water supply. Water is usually pumped out from underground aquifers that had been forming it for thousands of years. This is the reason why water from aquifers is sometimes called paleowater. Nowadays, use of groundwater is still increasing in some areas. Eventually, it helped many people to build their homes in places where it would not be possible to do so due to lack of clean drinking water. Moreover, modern building techniques have helped people to build houses in inhospitable conditions like wetlands. The area around Chicago, IL, is one such example. It was only couple hundreds of years ago when it changed its appearance. Currently, millions of people in Chicagoland are living in places of former wetlands that once surrounded Lake Michigan and its tributaries. The Village of Downers Grove is a southwest suburb of Chicago, where for many years residents used water from underground aquifers as their source of drinking water. The inland location of this village did not allow the use of any other water source. There were not any large rivers or lakes available. The only other option was to use water from Lake Michigan situated 21 miles away. Therefore, availability of clean underground water was very important to residents of this area. The situation has changed in May of 2001 when Environmental Protection Agency examined more than 500 residential wells in Downers Grove. They found out that many of these wells contained chemical substances potentially dangerous to human health. In the process of examination, the EPA identified 15 companies in the Ellsworth Industrial Park that were likely responsible for this situation. 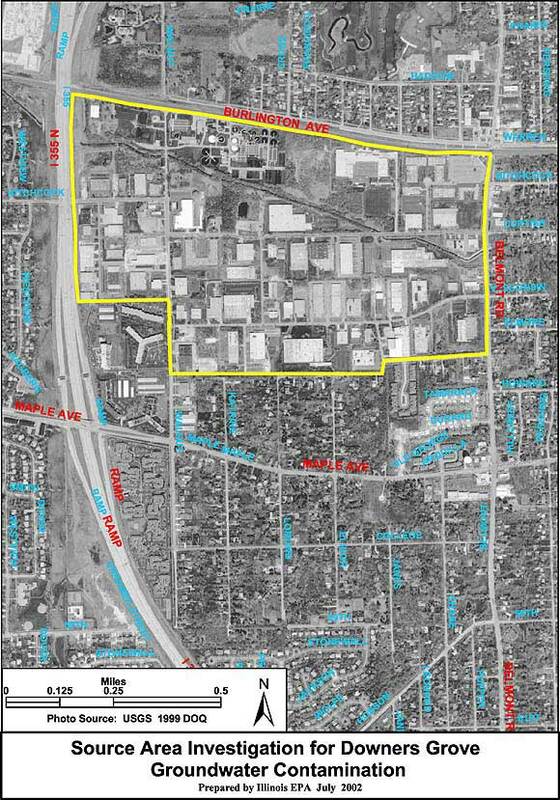 Even though this site was eligible to be added to the National Priorities List, an alternative approach for the cleanup process was chosen, which is called Superfund Alternative Site designation. In this essay, I analyze what happened there, what issues concerning safe drinking water and groundwater arose, and how was the situation handled in terms of environmental justice. Read the entire text of Dusan Koleno’s article, “Groundwater Threatened by Industrial Waste,” here in pdf format.